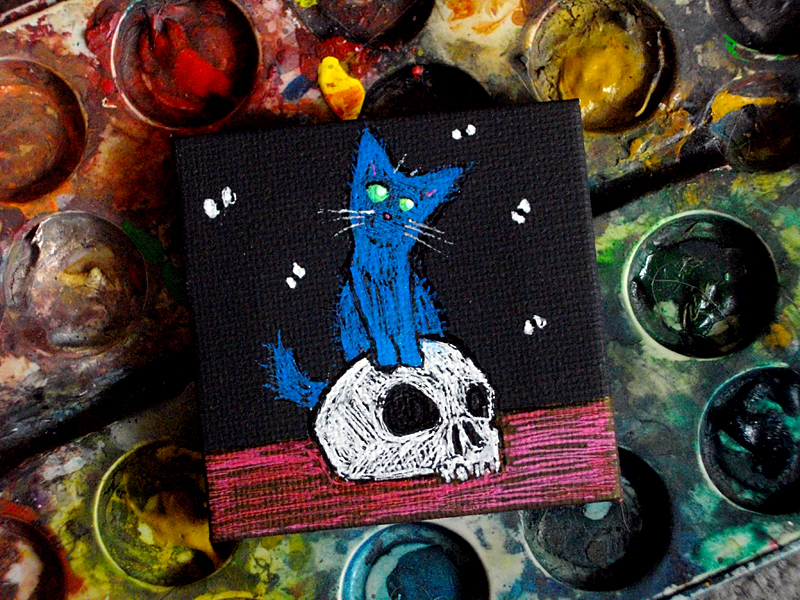 I painted on a teeny tiny canvas and it was more difficult than I thought. I'm not very good at painting on canvas but I thought I would give it a try. In the end I just used my gel pens and drew on it instead. What a cop out right? It's still a pretty cool image imo, and really really small, about 2 inches square. Not sure what to do with it but I am open to suggestions or offers.